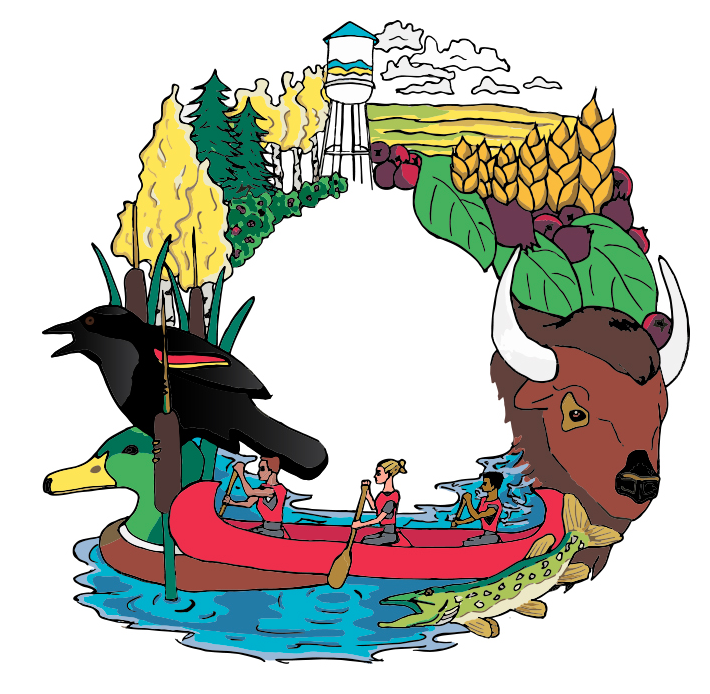 The Battle River Watershed Alliance is developing a Watershed Management Plan (WMP) for the Alberta portions of the Battle River and Sounding Creek watersheds. 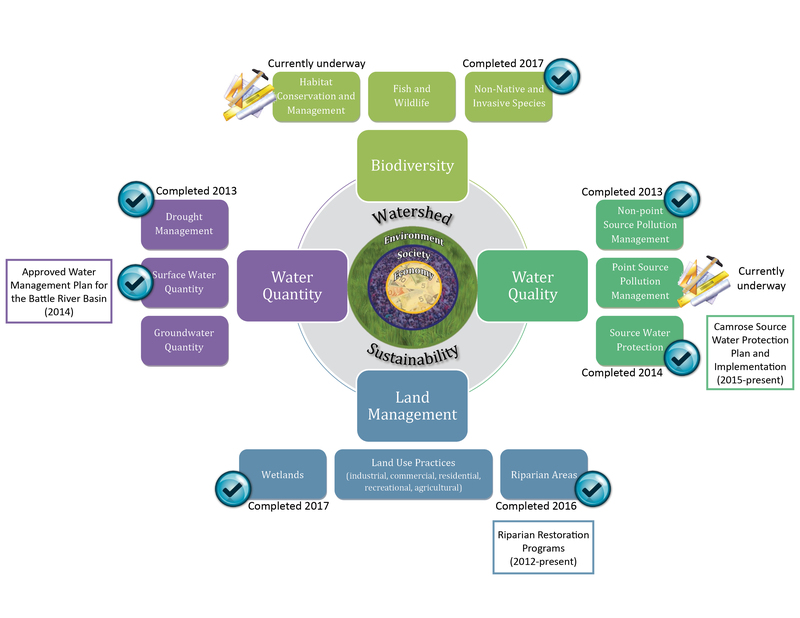 The purpose of this watershed management plan is to develop recommendations for policy directions and management practices that lead to the long-term sustainability of our watersheds. BRWA’s Watershed Management Planning Process is led by the Battle River Watershed Alliance and looks broadly at watershed management in a manner that integrates land management, water quality and quantity, wetlands, riparian areas, protected areas, biodiversity, socio-economic factors, and more. This is a collaborative process that seeks to involve the whole range of residents, stakeholders, and decision-makers who can make a difference in how we manage land and water in this region. With input and involvement from this range of people, the process is guided by our WMP Steering Committee and progresses from background research to policy advice and implementation guidelines, and then to implementation. We aim always to move from words to action. The WMP process employs adaptive management. This means that if what we have proposed does not work, we re-evaluate it, ask watershed residents and stakeholders what should be done differently, and modify what needs to be done so that it does work, or is improved. At the BRWA, we are always interested in hearing from watershed residents about what they value and how they envision that playing out in our work. Watershed sustainability recognizes three key building blocks of our watershed: our environment, our society, and our economy. Our environment — this watershed, the place we call home — is the foundation upon which our communities and economy rest. A healthy natural environment supports vibrant communities and a viable economy over the long term. Our use of resources must be compatible with the capacity of ecosystems to provide ecological goods and services. From this starting point, the BRWA plans to develop watershed management recommendations on 12 components. See the WMP plan diagram and visit the projects below.